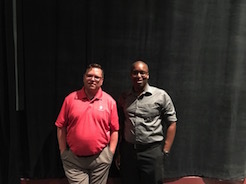 ﻿(Courtesy of Quinton Holmes) Edmund Senkowski, left, and Quiton Holmes, right, are the respective president and vice president of Park City Community Theater, a new nonprofit that will be housed at Prospector Theater. Park City Community Theater wants to give talented residents in the greater Park City area continued opportunities to perform in plays and musicals each year. To start off it's season, the fledgling organization currently filing to become a nonprofit, will hold auditions for "A Tony's Cabaret," a musical revue comprised of Tony Award-winning songs, on Tuesday, May 30, and Wednesday, May 31. Auditions will be at 6:30 p.m. at the Prospector Theater, 2200 Sidewinder Drive, and the performances will be July 27-29, Vice President Quinton Holmes told The Park Record. "The theater will be our base of operations, and our offices, most likely, will be there as well," Holmes said. "There may be times when we may have to hold rehearsals somewhere else, but our performances will be at the Prospector." Park City Community Theater is the brainchild of Holmes and President Edmund Senkowski. The concept to launch the organization came about after the two pitched the idea to do "Into the Woods" in Heber. "I had just started working with Park City High School and told Edmund about the opportunities we have here in town," Holmes said. "A lot of people in Park City are interested in the arts. There is a lot of talent here and many people have the resources to promote those talents. So, he thought maybe we could start something here, because not everyone can make it to Heber to audition and act." The Park City Community Theater will not compete with other performing arts nonprofits such as the Egyptian Theatre — which presents YouTheatre productions and the Park City Follies each year — the Park City Foundation and Giving a Bleep. "The Egyptian Theatre presents performances by traveling artists and companies," Holmes said. "We wanted to open a community theater to involve more local talent, including high schoolers." In addition to giving local actors a chance to perform in musicals, dramas and comedies, Park City Community Theater seeks musicians. 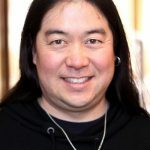 "Many of us on our board of directors can sing, act or play an instrument, and we could make up a pit with what we have, but we are trying to gather musicians who will be willing to stay with us long term," he said. Holmes said he is currently working with the Utah Conservatory. "They have agreed to donate some instruments here and there, and they are also reaching out to their faculty and students to see if they would be interested in regularly performing with us," he said. "We are also reaching out to the University of Utah's department of music and the Park City High School music program." Park City Community Theater's seasons will run from October to July, but this year, the schedule is different. "Our first show — 'A Tony's Cabaret' — will be in July," Holmes said. "Then our next show, the musical 'Into the Woods' will start next season in October." The season will continue with the play "All My Sons" in February and another musical, "Children of Eden," in April. "We're planning to finish out the season with 'Jekyll and Hyde,'" Holmes said. "Our plan is to fit three musicals and one straight play in each season. So, I'm looking forward to diving in 300 percent." Singers and actors who want to audition for "A Tony's Cabaret" can find a song list on the Park City Community Theater's website (www.parkcitycommunitytheatre.com). "You can still log onto the website and select one of the songs to sing at the audition," he said. "In the event that a performer doesn't know any of the songs, they can choose to bring in a Broadway song to sing, because we will have an accompanist." Since "A Tony's Cabaret" is a music revue and not a full theatrical production, performers won't need to bring in resumes or headshots. "This particular show's goal is to introduce Park City Community Theater to the area," Holmes said. "The performances will serve as a nice, open invitation for local performers to enjoy the audition process and appear on stage." Holmes and Senkowski decided to partner with the Prospector Theater after visiting other venues in town. "We had looked at the Eccles Center, but it was too big, and the Park City Library's Jim Santy Auditorium is scheduled up on the weekends during the fall, winter and spring by the Park City Film Series," Holmes said. "The Prospector is a good-sized and perfect venue." It is also conveniently located. "Edmund and I work for Deer Valley and we live in employee housing in the Prospector area," Holmes said. "So, the Prospector was right here in front of us." 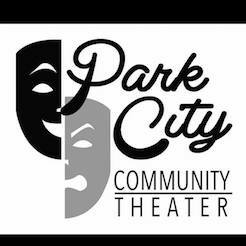 For information about Park City Community Theater auditions, sponsorships or volunteering, call 435-300-0476, email qhomles@parkcitycommunitytheatre.com or visit http://www.parkcitycommunitytheatre.com.